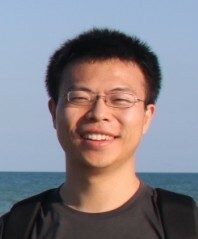 Professor Kai Chen received his Ph.D. degree in the University of Chinese Academy of Science in 2010; then he joined the Chinese Academy of Science in January 2010. He became the Associate Professor in September 2012 and became the full Professor in October 2015. His research interests include software analysis and testing; smartphones and privacy. Besides traditional problems such as potential bugs, (smartphone) application clones on Android markets bring new threats. Existing techniques achieve either accuracy or scalability, but not both. To solve those problems, we use a geometry characteristic, called centroid, of dependency graphs to measure the similarity between methods (code fragments) in two apps. Here is the demo of the system. Our malware detection platform, MassVet, detected over 100,000 potentially harmful apps (PHA). Among them, 10,000 PHAs are missed by VirusTotal. MassVet can also detect app piracy in a large scale, over millions of apps, in seconds. For more details, please refer to our paper. Or you can use MassVet to analyze Android apps at Android Malware Detection Platform. Here is the demo and media reports of the system. We report the first systematic study on PhaLibs across Android and iOS, based upon a key observation that many iOS libraries have Android versions that can potentially be used to understand their behaviors and the relations between the libraries on both sides. We find that the voice commands can be stealthily embedded into songs, which, when played, can effectively control the target system through ASR without being noticed by a human listener. Our CommanderSongs can be done automatically against real world ASR applications. In addition, they can be spread through Internet (e.g., YouTube) and radio, potentially affecting millions of ASR users. Here is the demo of the attack.